Frank has practiced law in Seattle since 1979. 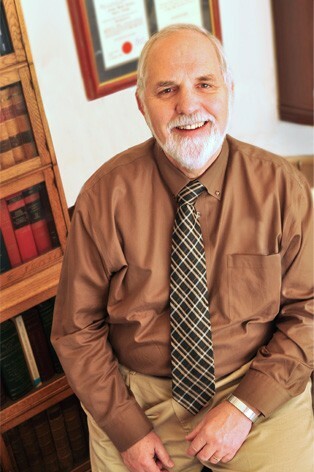 His practice consists primarily of family law related issues, estate planning, probate, real estate and some general practice areas. He has been involved in mediation for the last 25 years and often mediates family law and parenting issues with his wife, Patricia S. Holman (Stanford, AB, Indiana University, PhD, Child Development). He also served as a King County Family Law Commissioner pro tem from 1998 through 2002. Frank is a third generation Washingtonian and has lived in Seattle most of his life. He graduated from Shorecrest High School. He and his wife have two adult married sons. He loves the outdoors and enjoys fly fishing with family and friends both in the mountains and at the ocean. Apart from his professional practice, he has been actively involved in community activities, including a church community (Bethany Presbyterian), the Samaritan Center of Puget Sound (board chair 2011-2013), Nathan Hale High School Foundation, and the Open Door Legal Clinic. And since 2005 he has traveled to and participated with the rural Honduran village, Nuevo Amanecer, in partnership with Bethany Presbyterian Church and Agros International. © 2019 Holman Cahill Garrett Ives Oliver & Andersen, All Rights Reserved.